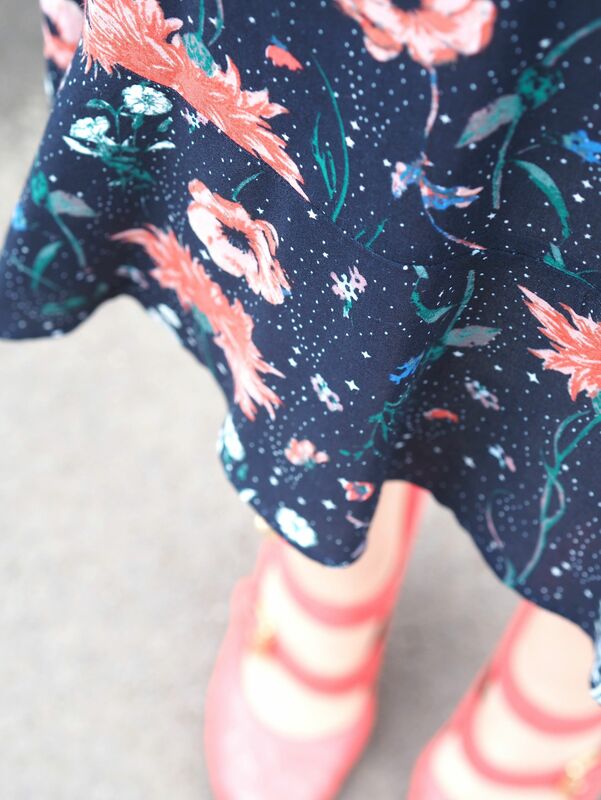 If you’d have asked me two years ago to wear a floral midi dress, I’d have declined with a polite “no thank you.” At that time, I favoured a hemline that sits just above the knee. But now, be it a dress or a skirt, I can’t get enough of the midi length. It’s proved to be very popular for the last few seasons. Some might say incredibly so. And I think in part that’s because it lends itself to being teamed with a whole host of footwear choices. Ankle boots, trainers (kicks? I STILL don’t know what to call them), pointed flats, strappy heels and espadrilles. So many options. 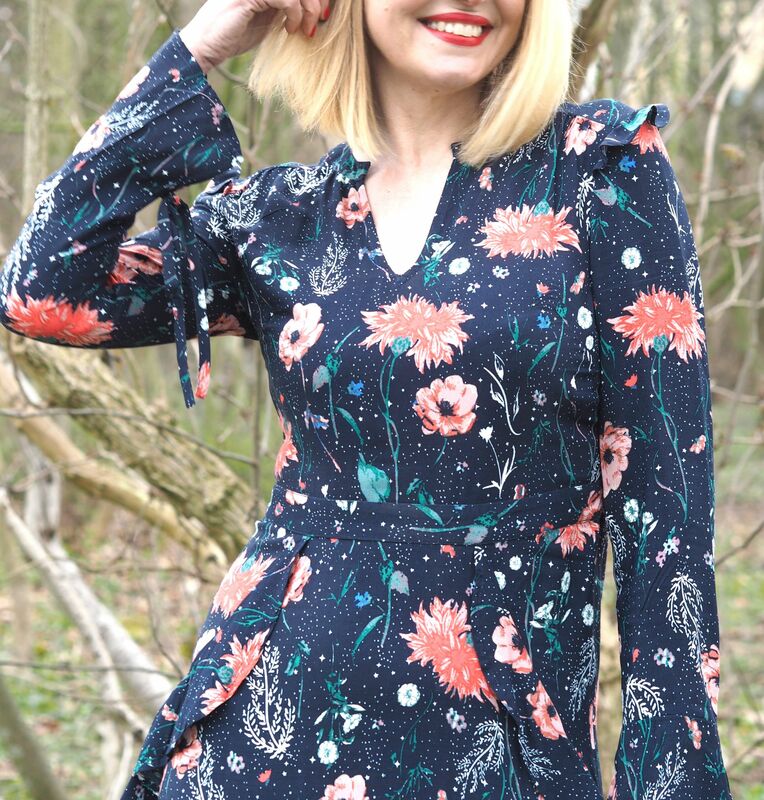 I bought this floral midi dress when I was compiling a Mother’s Day Gift Guide last month. 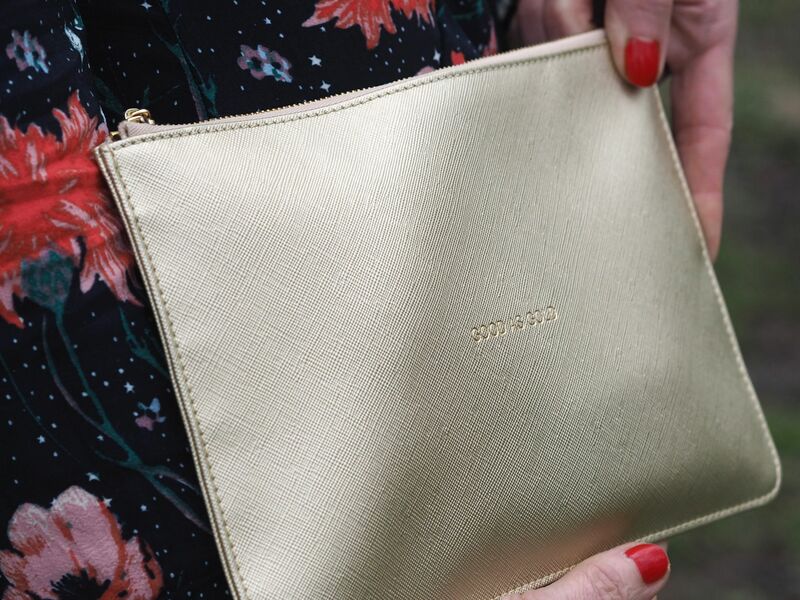 It’s from Nine, the range Savannah Miller designs for Debenhams. 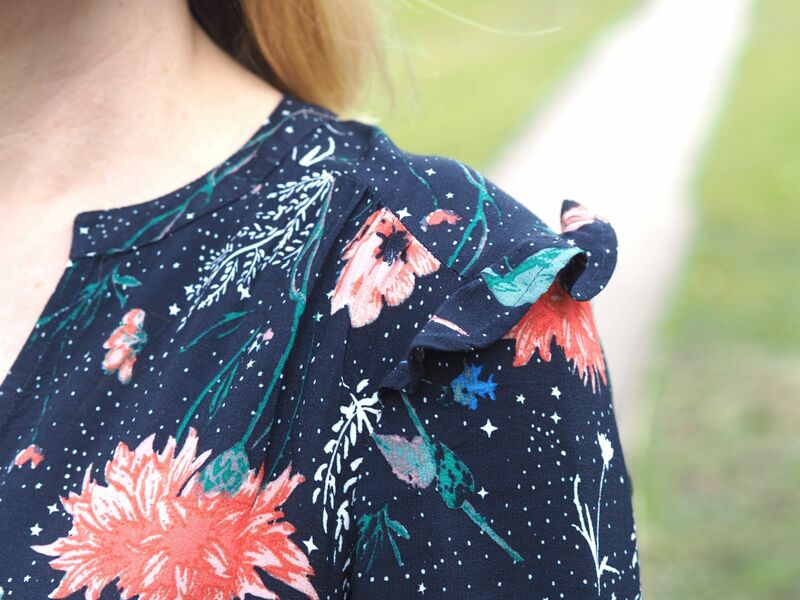 The floral print captured my attention, but it was the shape, the cut of the dress that made me want to try it on. (It’s since been reduced significantly to just £17.70 and is still available in most sizes at the time of writing). I bought it knowing it’d be perfect for wearing to my parents’ house for lunch on Easter Sunday. I know too that I’ll wear it a lot throughout the season. 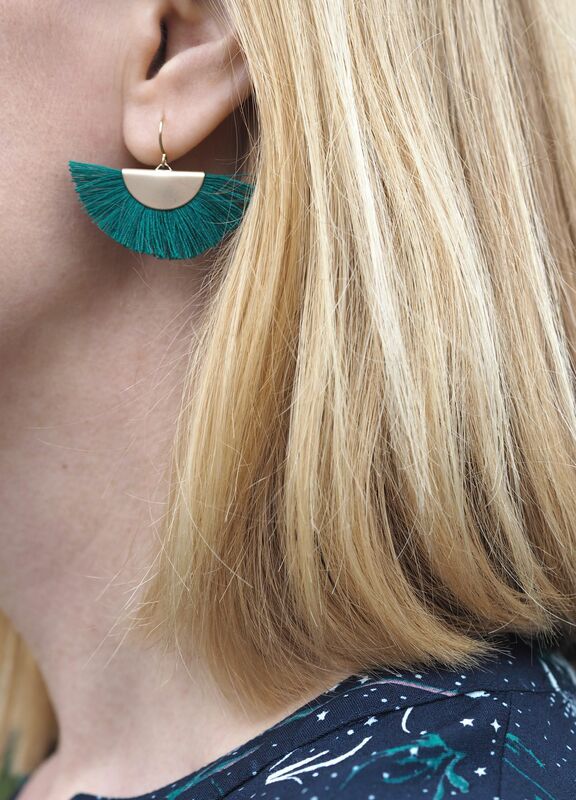 Isn’t the shoulder detail pretty? I’ve worn these shoes over and over. You might remember them? I got them from a Mulberry outlet probably about seven or eight years ago. I’m always amazed by how many outfits and colours they work with. Considering they’re orange, these shoes have worked very hard for me. 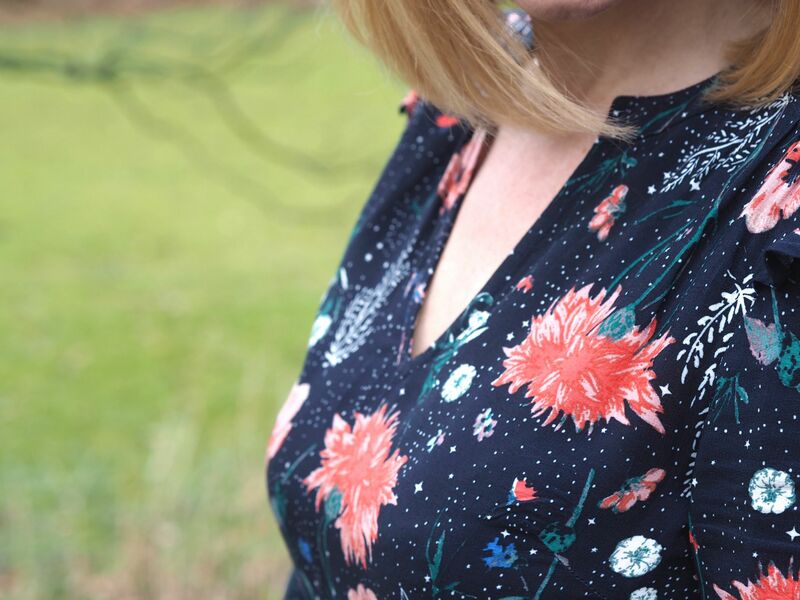 The dipped hemline gives this dress a lovely shape. I kept the accessories quite simple. After all, it’s a busy dress with statement shoes. 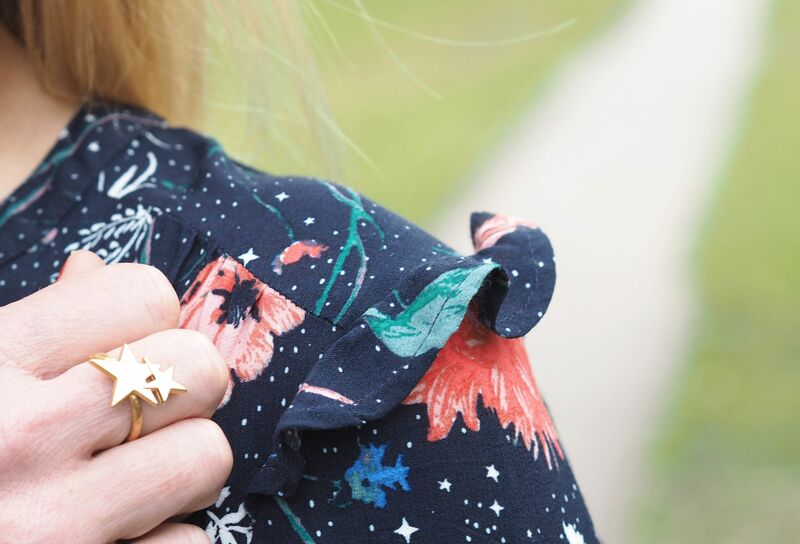 The soft gold Katie Loxton pouch complimented the tone of my gold stars ring beautifully. I wore a bright coral nail polish which ties in with the orange of the shoes. And of course, I’m never far from my true red Dior lipstick and a pair of tassel earrings. 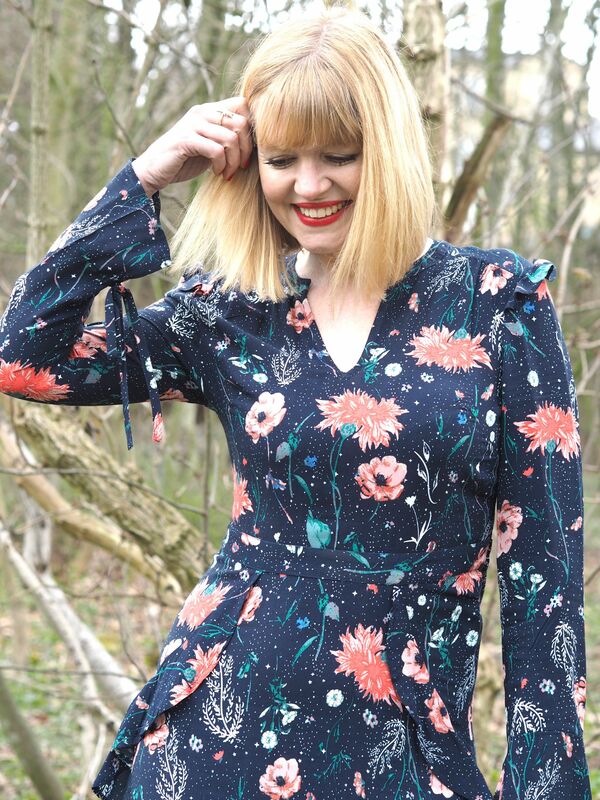 I bought the dress and earrings from a budget allocated to me by Monks Cross shopping centre for a Mother's Day gift guide. All opinions are 100% honest and all content is my own. Thank you again to Ian for taking these photographs. I'm so happy with them. Previous Post Life Lately: Cats and Conversions. What the what now?? ?It’s on sale for £17.70 & there’s a size 12! Wonderful dress I love printing and I love the design, which is spectacular. The shoes are cute. You look so elegant and beautiful! You look absolutely stunning in this outfit, Lizzy! 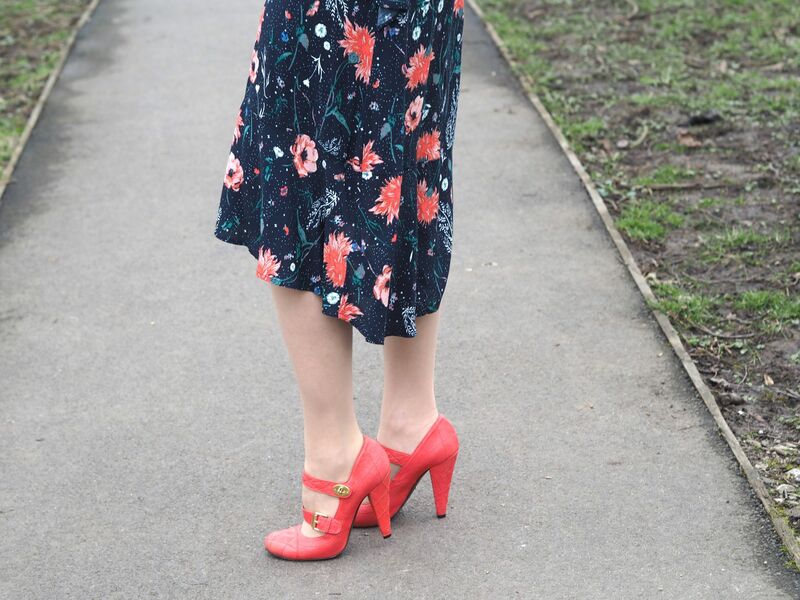 And those shoes… they’re DIVINE!! !